Four years ago, I stared this adventure. An adventure in which I made myself a walking fashion industry glossary, in which I perfected and developed my drawing style, in which I learned about perseverance, determination and hard work. In four years, I enjoyed every moment, every step of the process, every post, every illustration (even the first ones, where my Sophies look more like a Picasso than a Sophie), every tweet and every trend. I loved the feeling of knowing I had many followers out there enjoying what I published. And the feedback? There’s nothing better than waking up to a lovely comment from a lovely reader. 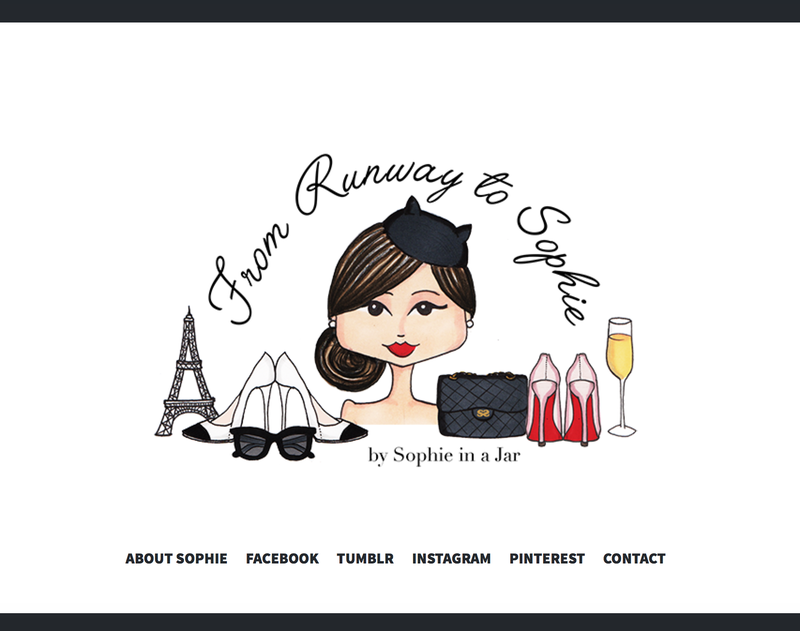 Meet From Runway to Sophie, the more simple, less complicated but much more interesting blog, written and illustrated by yours truly. I really, really hope all of you lovelies will follow me there! I promise I’ll make it worth your while! It’s been a while, my dear readers, almost three months. After almost four years of blogging, I have now learned that it’s ok to question your posts, to wonder if they have become too repetitive or too boring. It’s ok to take some time to think, to have massive brainstorming sessions and conversations with your troubled and somewhat confused brain, to think about quitting without really having the intention to do so, to sit, breathe and regroup, to get ready and start doing it all over again. When I started Sweet n’raw, it was the only project I had going on in my life. Then came the freelancing and while that was happening (still is) my second baby started taking form. That baby is about to hatch from an egg I’ve been brooding like the hell of a nurturing mother hen that I am (that nurturing quality of mine is reserved to projects and puppies… Little persons, not so much). 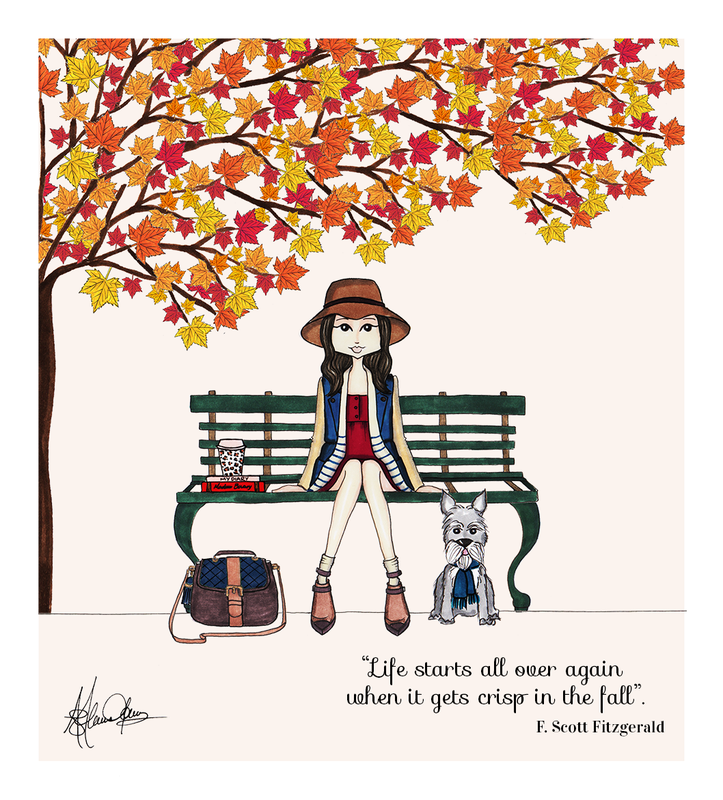 “Life starts all over again when it gets crisp in the Fall”. And since today marks the first day of Fall, let’s start fresh, let’s start all over again. 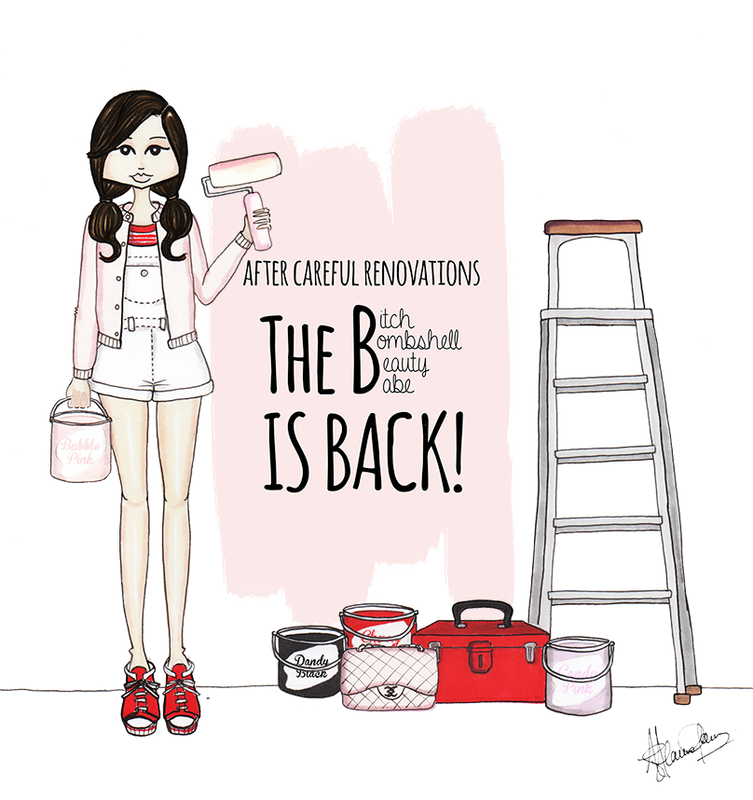 Welcome back my sweet readers, it’s always a pleasure to draw and publish only for you! Filed under Illustration, Is it Fall yet? It’s that time of the year again… I spend the entire year longing for July! Why? Because of Summer, warm weather, beach getaways, darker skin, fun nights and colorful swimwear. Need I say more? For Sweet n’raw, Summer means one thing, it’s time for our Bikini special. Every July, for three years in a row, I have been putting together different styles, looks and trends for you to try out when hitting the beach or the pool (I’m more of a pool person). 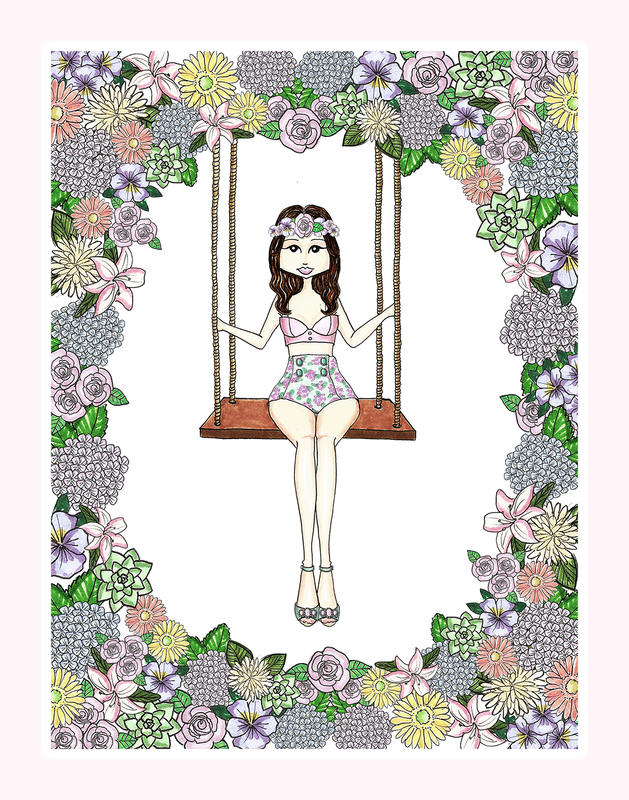 This year, even though I’m a little behind on my posting, I’m ready to give you some Summer fashion you will never forget along with some fun, bright and season illustrations. Are you ready? We love Summer, because in the Summer skin gets darker, hair gets lighter, music gets louder, water gets warmer, nights get longer, life gets better. Resort and Pre-fall collections have officially become personal favorites, the clothes are more wearable, the mood is less serious. A season ago (Fall 2014), I decided to stop reviewing shows and start having more fun with the collections. After giving it some thought, I couldn’t think of anything more amusing than dressing my dear little Sophie, my lovely alter ego, with the latest looks from the runway. So far, the Resort 2015 collections have been smashing! There are lots of looks, garments and styles to choose from. As always, Christopher Bailey killed it for Burberry Prorsum, Dona Karan and her signature street wear for DKNY was as chic as chic can get. But there was this one collection that immediately caught my eye, Alessandro Dell’Acqua’s second one for Rochas. I’ve been having an affair with the French brand (and the French) for a while now and this presentation did not disappoint. It was a delicate, floral affair. From the colors and fabrics to the shapes and cuts, everything screamed romance and nature. Dell’Acqua relied on the house’s classic codes but gave his garments a touch of modernity. Sophie’s favorite piece? The garden cocoon coat. She couldn’t wait to wear it and of course, show it to you! I have been a big fan of mixing and matching for a long time. I can’t even remember when it started but I like constructing my looks with many pieces, patterns and prints. I don’t find the thought of wearing a dress as a whole outfit very inspiring, in fact, I haven’t been wearing them for a while (except on weddings, if I could wear dressy shorts to a wedding and not look completely out of place, I would). But when Summer hits town, it’s a different story. The Summer air makes me want to wear flowy and lightweight (so light they almost look sheer) dresses. The thought of me in a cotton, off-white mini number with a pair of gladiator flats and a camel-colored shoulder bag makes me want to go and wear that right now (even if it’s gray, cold and pouring outside). 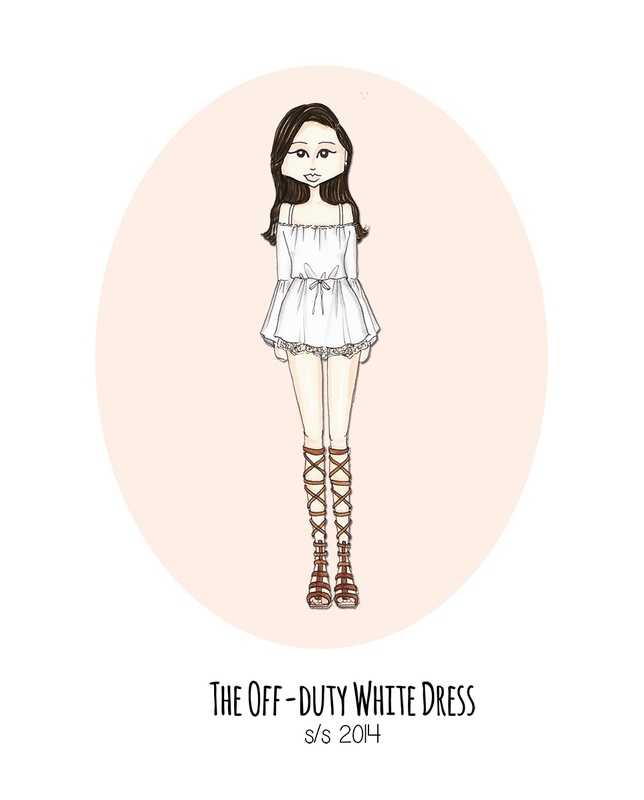 The off-duty white dress is not a S/S 2014 trend, it’s a classic, a seasonal must-have, and a lifesaver. 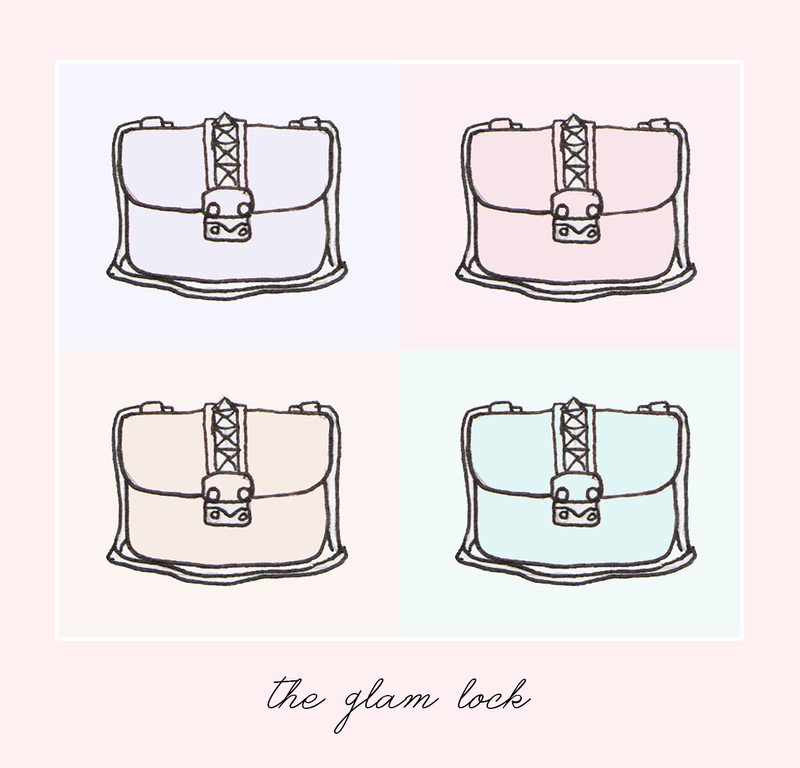 It’s a perfect garment when it comes to transforming your outfit from day to night. You can wear it as beach cover-up, as a casual day look for running errands (add some cute sandals, a tote and a pair of sunnies) and with some wedges or lace-up neutral sandals and boho jewelry, you can pull-off the perfect beach soiree or party outfit in a jiffy! The great thing about this classic? You can find them in every store, in every style, length and fabric. Me? I prefer mine with textures, broderie anglaise, embroidery, lace and even crochet. The more details, the merrier the dress! Sweet n’raw has been happening for a while now and this is the first time since I opened the blog, that I have gone without posting this long. Since March 2011, I have been constantly publishing articles about fashion, about style and of course, my greatest passion of them all, illustration. I have tried out different sections, discarded some, came up with new ones. I have changed the layout countless times. I have reviewed fashion shows and illustrated trends. And while I have been doing all this, I have been growing, both personally and professionally. You know how people talk about the seven year itch when it comes to marriage? I started having the three year itch when it came to blogging. My posts were starting to lack that “je ne sais quois” I was always so proud about. Everything began to feel a tad repetitive. I didn’t have the same amount of time I had before when it came to putting together elaborate trend guides or my infamous Fashion Week coverage. I found myself struggling to find inspiration, something had taken Sophie’s groove and refused to give it back. I also started developing a separate project, my second baby (I can’t tell you about my precious just yet), and juggling both things became impossible. I had to make a decision, renovate or die. And naturally, I wasn’t gonna let three years of work go down the drain. I needed to find a way to put a new spin on Sweet n’raw. It took almost two months but I finally managed to come up with a fresh concept and a much simpler one. Yes, I will still be talking about trends, style, fashion and runways, but in a less serious and critical way. And yes, there will still be illustration, the blog would be lost without it. 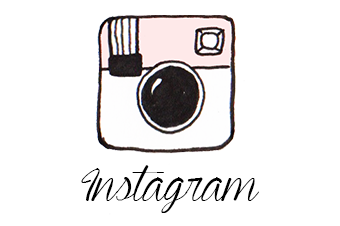 I am armed and ready with new sections, new posts, new fashion, new colors and new everything! I hope you like this extreme makeover, I kinda like it a lot! It’s my day today folks! I was lucky enough to be brought into this world (by the most wonderful woman, my mother, the hero) in a time of Spring. Spring is a season of change, a season of renewal, of light and yes, a season for new plans and new projects (it’s also the time when I can start flashing my ghostly-after-winter legs). This curly-haired, stubborn Arian was born today, a few years ago (we are currently on a Peter Pan phase, so my age is one thing I like to keep to myself) and since then, birthdays have been more about learning, reflecting and appreciating life than celebrating. This year has been a year of change with a touch of chaos and you know what say about change, right? Change is always good. I start a new year and a new chapter in my life full of hope, with a strong spirit, wiser than ever and stronger than yesterday. I start a new year having all the love in the world, my delightfully chaotic family (life has a purpose thanks to them), my partner in crime, in love and in life, my dreamboat (I’m the luckiest girl in the world), and even though I’m not a “many friends” kind of person, I have the ones I need and the ones I know are true. So here’s to that extra candle on top of my cake, here’s to a new year, here’s to the future and all the great things I know it’s holding for me. Here’s to life and to yours truly, Little Miss March! Tomorrow we officially welcome the prettiest seasons of the year (even if thanks to Mexico´s lovely climate, I have been wearing shorts and sandals for about three weeks now), Spring! It’s time to get those heavy coats and boots inside some boxes and start wearing lighter and cheerier clothes. I know, I haven’t been posting as much as I usually do, but there is an explanation, something I will be able to reveal to you soon (hopefully). In the meantime, I’m celebrating the warmer weather and in a week or so, my birthday. Yes, another year, another candle burning (I have to confess that each year I get less excited, Sophie Pan is kind of taking over). Anyway, back to what concerns us today: Spring has sprung and I couldn’t be happier about it! What’s your favorite season of the year? You already know mine! Three years ago, while living in the lovely city of Milan, I decided to take a jump. It was a jump I had been wanting to take for a while but somehow kept putting it off and off and off: opening my own blog. Thirty six months ago, after much thinking, I published my first blog post. 1095 days have gone by and Sweet n’raw is still here and keeps growing and growing. 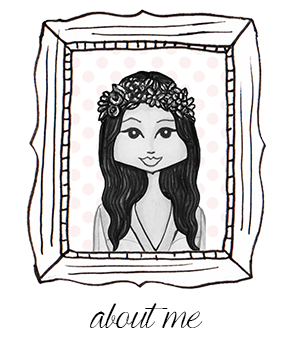 It has been an evolution, not only when it comes to content (I have killed many of the sections I used to do and created new ones) and blog design, my illustration is completely different (it now has a signature of its own), my writing has evolved and I, the author and brains behind Sweet n’raw, have changed a lot. What hasn’t changed is Sweet n’raw’s philosophy, I’m happy to say that we have stayed true to ourselves, the blog and yours truly. We curate meticulously every detail, every trace, every word. We publish only when we have quality material ready, it’s not only about generating more traffic, it’s about offering our visitors what they are used to getting from us. We cherish every single one of our readers. We celebrate each time we get a new like on the FB fan page (we also think buying likes and followers is extremely sad). We are not interested in going viral if it’s not for the right reasons and we are definitely not sell-outs who settle. After this obnoxious, self-praising and righteous monologue comes the most important part, the thank yous. And in the form of an award ceremony speech (that was self-absorbed, I just gave myself an imaginary award), I want to thank the people who read me, who like my posts and the ones who take the time to write the most beautiful and encouraging comments (my Aunt Marité especially, my most avid and precious commentator). To the city of Milan, we loved each other without question and even though we knew our affair wouldn’t last forever, but it changed us (the “you can never go back to way things were” kind of change) and we will remember it for the rest of our lives. To the people who inspire me everyday, you know who you are, you are not that many (I’m a little picky when it comes to sharing my love). And to my mom, my greatest blessing and the most skilled to ever walk this Earth, everything I am I owe to you (the good part of me at least). Happy 3rd B-day Sweet n’raw! 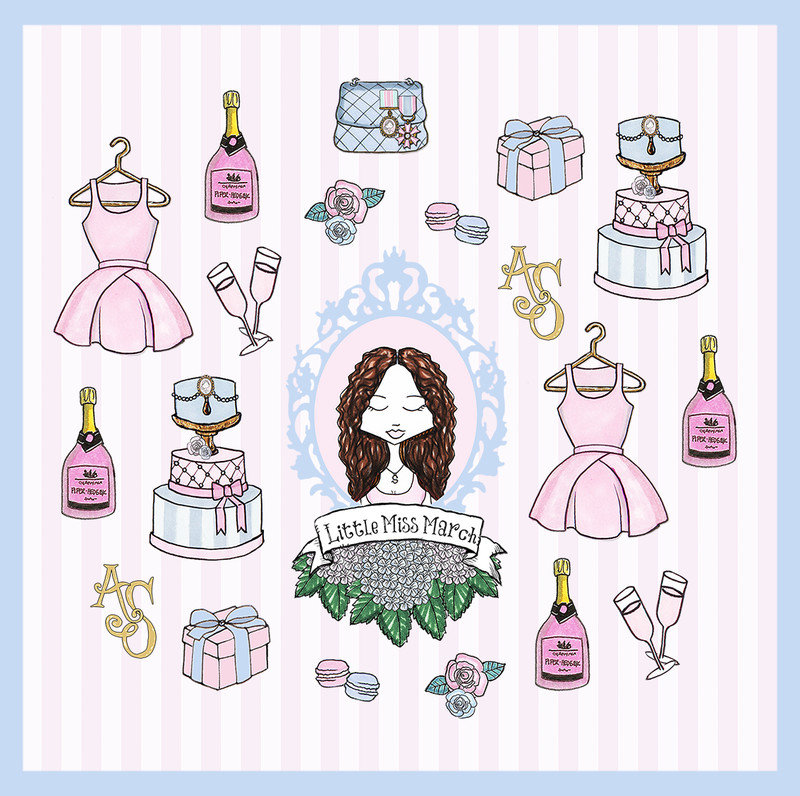 Let the cake and the champagne come our way (well, not the cake, we are kind of cutting down on carbs at the moment).